Is the Regera the MClaren F1 of this decade/era of automotive evolution? is the Regera as disruptive and as mind blowing as the MClaren F1 was when it came out in the 90's? are the Firerrari twins supercars or hypercars? what is the worst auto exported from the top 9 auto production countries/regions. what are you dressing up as OPPO? 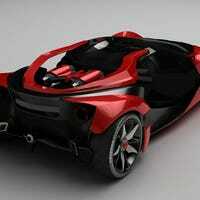 Ferrari to create a invitation only car - it has no pre cursor model or style - to be built from the absolute ground up. ** possibly sighted in Kanata - WEST of downtown,,** not confirmed. German automaker Volkswagen AG (VOWG_p.DE) said it is recalling more than 1.1 million cars in North America and China to correct a potential problem with rear suspension parts. Chris Harris on Cars is leaving the DRIVE channel on YouTube and Vimeo and going solo, and free-to-watch, starting in November. This here is a very rare Lamborghini Reventon #3 of 20. It has some very striking PUR orange wheels though I prefer it in the black personally. A very sharp angular car and a bright rim choice make this car a eye catcher and a truly unique piece of automotive art. This is the new RWB 993 Porsche built earlier last week by the one and only Nakai-San of RWB. The Porsche, a 993, was bought originally factory silver but was fully repainted and restored. The current green on the car is also a factory colour. Volkswagen has announced it will introduce a plug-in hybrid variant of the new Euro-spec eighth-gen Passat at next week's Paris Motor Show. These are the first photos and details of the new McLaren 625C, which was specially developed for the Asian market. It will launch in Hong Kong first, with other markets across the Asia Pacific region to be announced in the coming months.